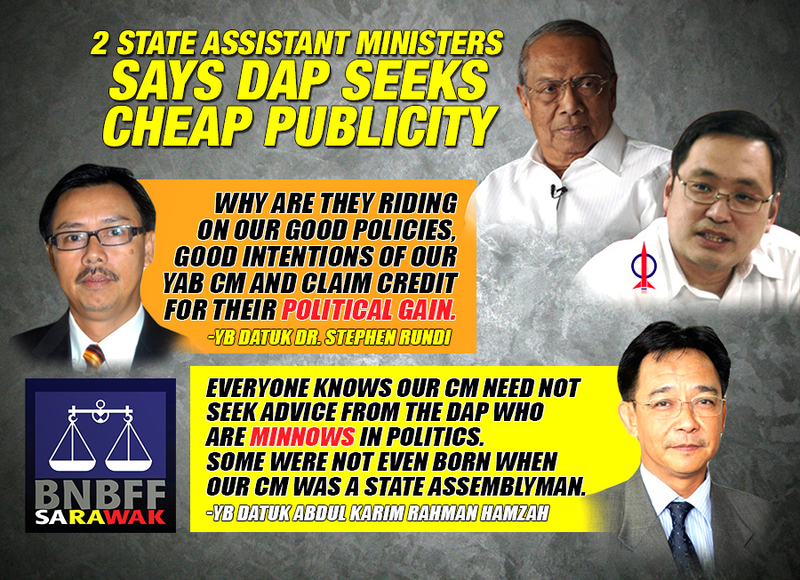 Earlier this was reported in the BNBFF FB page,”Sarawak DAP unhappy with PAS. Will not compromise and we will make our stance very clear. Now its quite clear that DAP,PKR and PAS Sarawak are not exactly brothers in arms as their political ideologies have clashed. The ‘HUDUD” factor has reached boiling point and DAP Sarawak central committee met and they have put their foot down and supported their Chairman Chong Chieng Jen. 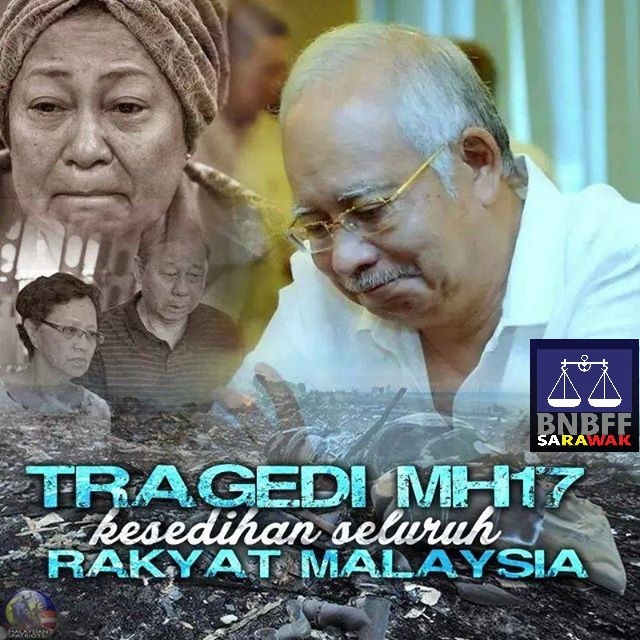 This appeared today in an internet portal today and one does not need to be a political genius to work it out where the PR Sarawak group is heading to. 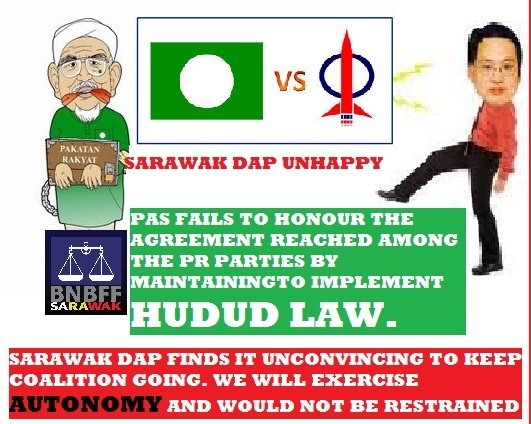 QUICK TAKE: So the Sarawak DAP wants to get out of Pakatan Rakyat if PAS insists on working with the federal government to implement hudud in Kelantan. Making this strong stand last week, its chairman Chong Chieng Jen explained that if hudud was implemented, Sarawak would also be affected because all federal government departments at the state level would then have to comply with Syariah law in their administration. But Chong did not stop there. He also lashed out at the non-committal stance of the Sarawak PKR on the matter and warned that the recent meeting between Kelantan Deputy Menteri Besar Datuk Nik Mohd Amar Nik Abdullah and Minister in the Prime Minister’s Department Datuk Seri Dr Jamil Khir Baharom had revealed that there was no need to amend the Federal Constitution to allow for implementation of hudud in Kelantan. “This means that there is no need to get a two-thirds majority from Parliament to implement hudud and if implemented, it would go against the Sarawak Constitution and the principles of the Malaysia Agreement 1963 (MA63) that clearly states that Sarawak has no official religion,” he said. 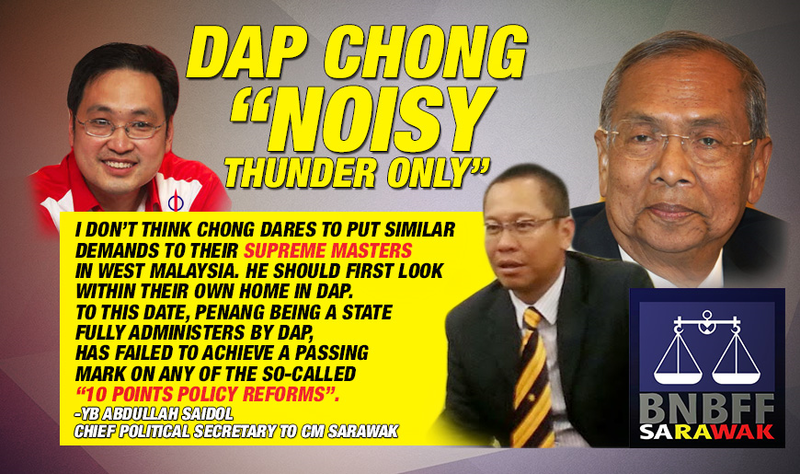 Chong’s threat to withdraw from the Pakatan coalition in Sarawak elicited a response from state PKR chief Baru Bian who expressed “shock” that Sarawak DAP has seen it fit to issue an ultimatum to Pakatan partner PAS over its stand on hudud without prior consultation with Sarawak PKR. Baru chided Chong referring to his past statements which clearly decreed that Sarawak was under no obligation to follow the prime minister on the hudud law in April and subsequent stand that Sarawak agreed to the formation of a secular Malaysia in June which were published in the local papers and shared widely on social media. Baru also questioned Sarawak DAP’s independent step when at the national level DAP had not given any indication of the position regarding this move. “Perhaps there are internal factors and extraneous considerations at play here but I will not speculate on such matters. Suffice to say that I am deeply disappointed that DAP Sarawak should take such a drastic step at this time when the state election is imminent,” he said. However, observers are aware that the differences and bad blood between DAP and PKR in Sarawak could not be just over this old hudud issue. Since last year, PKR leaders in Sarawak have been jittery over the state DAP’s “Impian Sarawak” programme which is the party’s charge into the rural areas. Armed with RM600,000 for the rural drive, a neat sum collected from the party’s state assembly representatives who had an allowance windfall, the DAP’s rural drive has been quite successful. This has made certain PKR quarters unhappy as they see the DAP’s go rural drive as a threat for it has encroached into some constituencies which they have been eyeing. Meanwhile, Sarawak PAS has also told DAP off, saying that the party was free to quit the state Pakatan coalition if it wishes to do so. 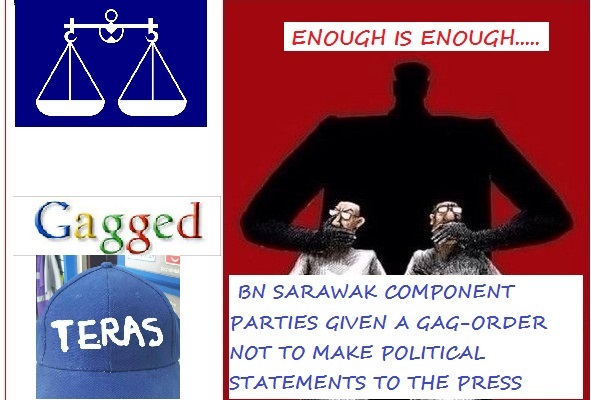 The deepening cracks within Sarawak Pakatan do not augur well for the state opposition in the coming state elections, due in two years. Article Extracted from Borneo Posts. The faction in Parti Tenaga Rakyat Sarawak (Teras) led by Dato Sri Wong Soon Koh has left the party to join the newly registered United People’s Party (UPP) which was approved on July 14 this year by the Registrar of Societies (ROS). Joining the senior minister in the new political entity will be former Sarawak United People’s Party (SUPP) elected representatives: Bengoh assemblyman Datuk Dr Jerip Susil, Dr Johnical Rayong Ngipa (Engkilili) and Ranum Mina (Opar). 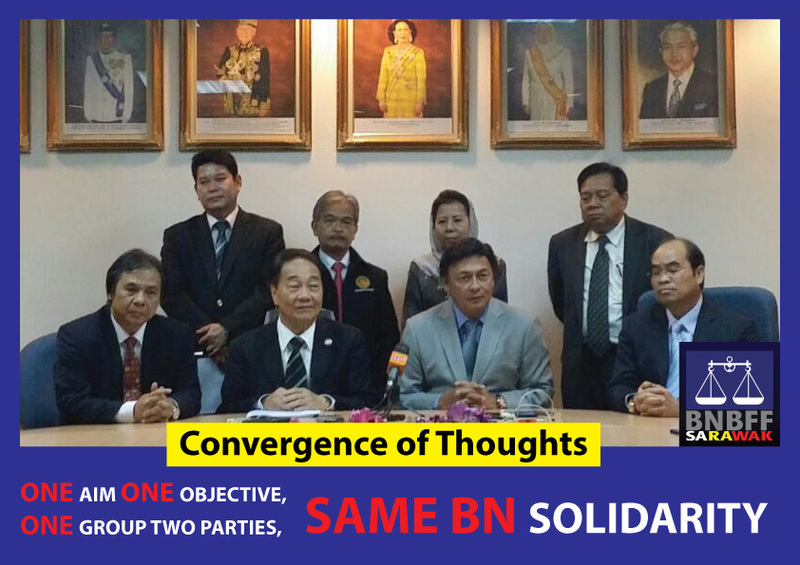 This was announced at a press conference earlier today, where Wong explained the move was the best strategy for both former Sarawak United People’s Party (SUPP) and Sarawak Democratic Progressive Party (SPDP) elected representatives to move forward on separate platforms and mobilise to gather support for the Barisan Nasional. However, former SPDP representatives Datuk Peter Nansian Ngusie (Tasik Biru), Rosey Yunus, (Bekenu), Datuk Sylvester Entri Muran (Marudi) and Paulus Palu Gumbang (Batu Danau) remain in Teras with Tan Sri William Mawan Ikom.